During the lifetime of your real estate career, you may experience a lull in business. This can happen to any agent, full-time or part-time, and can occur when you least expect it. But, this dreaded roller-coaster effect doesn’t have to happen. With the right approach to marketing, you can reignite your client base and smooth out the road for the year ahead! #1: Make The Right Impression- Quick! You have three seconds to make the right first impression. What a prospect thinks of you and your brand is crucial to getting them to engage with you. Say the right things, communicate the right message and visually elevate your brand to appear professional in every way to build credibility. Those visual and verbal cues become your brand. And, in real estate marketing, it’s all about your brand. You need to convince a consumer to work with you other than someone else. At an introduction, a person will immediately judge your image and create their initial impression of you. It’s only then, after you create the right impression that they will engage to internally receive and process the information about your business that you want to convey. It’s hard to change a perception once you create it. Gather and view all of the marketing you’ve done in the last year. If it looks like it’s coming from different people, you need to create an appropriate strategy that consistently portrays you as a real estate professional. Align verbal, written and visual cues and messages to build that brand consistency. Make sure you appear to be the knowledgeable, professional and experienced REALTORⓇ you tell people you are. When your messaging runs parallel in all areas, you elevate your brand. Many agents don’t realize that this small action can bring about a great change in your business and will end up growing your customer base collectively. If appointments keep you hopping from one hour to the next, that’s great! But don’t let your busy schedule keep you from dedicating time to your marketing. At the end of the day, it’s about how you managed all aspects of your business, not just managing your transactions and clients. Buyers and sellers are looking for an agent- you need to get their attention and tell them why it’s you they need. Continual marketing is the only way to keep you and your brand in front of your customer. Be honest with yourself about the amount of time you spend on your marketing each week. If it’s less than 10 hours, you’re not doing enough. Block out two hours a day for in-office marketing tasks. Use this time to prospect leads, manage your database, connect with your sphere, follow-up with current clients and work on your presentation to sellers and buyers. The brand marketing you do in these blocks of time is the secret to minimizing- or eliminating- the roller coaster effect on your income- and the benefits of dedicating time for marketing will pay off consistently. In the real estate industry, everything is about presentation: how you present yourself, your brand, your broker, the homes you show, etc. A large part of this is wrapped up in the preparation and delivery of your presentation to prospective clients. So which presentation is more effective- an electronic one, or a paper-based one? The answer may surprise you. I did some research and learned something shocking: even in today’s digital age, the top HomeSmart agents earning over $700,000 a year are getting their best results from, and relying on, the classic folder with paper inserts to get the job done. The reason why is simple-- prospects will use that paper-based presentation to compare you against other agents- and they will flip through it and read it over and over again long after you’ve left the meeting. Minimize the prep work of your paper presentation-- keep digital files and paper folders within easy reach. Create a file on your computer for your downloadable, editable templates. This makes it quick and easy to create and print the pages you use most often each time you build a new paper presentation for a client. Paper folders should also be kept nearby, ready to be filled with those pages you just customized and printed. Consider your digital tablet presentation as a supplement to your paper presentation. Digital is fantastic for photos, accessing certain data, spreadsheets or comps, but it’s the paper presentation that will help sell those prospects. It’s possible to avoid fluctuations in your business income and client base. While there are many more marketing tactics and channels you can also employ, these three marketing rules and action items will help you pick up the pace if business starts to slow down, while building a solid foundation for your future success. 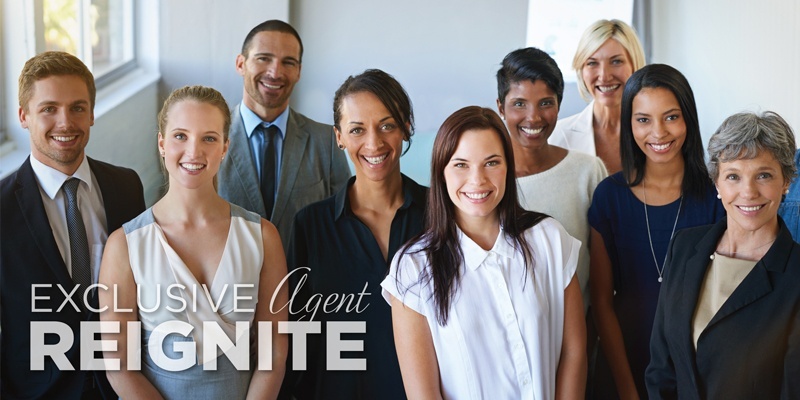 If you’d like to learn more about how to reignite your business, check out the YouTube video of the exclusive HomeSmart Agent REIGNITE class I held at our corporate headquarters.